Hoops were set out on courts 1 & 2 this afternoon in readyness for Saturday's start of the season. Harry Midgley, Raghu Iyer and Chris Roberts had a goood two and a half hours work this afternoon and work will resume on Thursday to completee the two smaller courts with long standing hoop setter David Bromilow. Tomorrow (Wednesday) sees a group of seven travelling down to Cheltenhams to visit the CA shop. At least four of the party are interested in purchasing a mallett and there is no better place to visit for this as you are allowed to ;try before you buy'. Frances Colman an Chris Roberts will lead the visit and the pair will take time out to punmder te CA's archives for items of interest for The Croquet Gazette. ONLY FOUR 4 DAYS BEFORE THE START OF OUR SEASON. 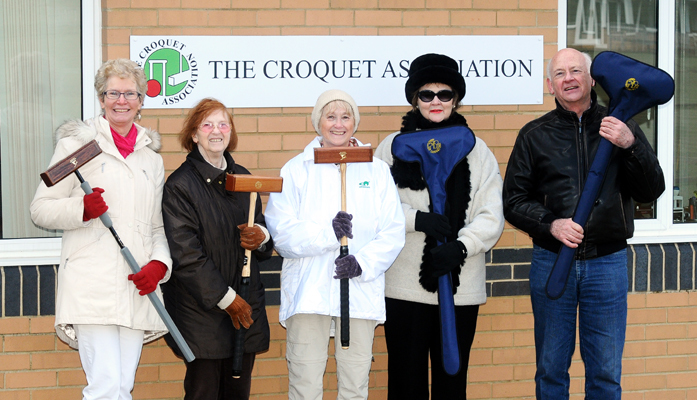 A possy of seven visted the HQ of the Croquet Association todday and five members equipped themselves with new mallets and other croquet gear at the CA's shop. Frances Colman and Chris Roberts headed the PCC delegation and were joined by (left to right) Madeleine Probert, Nina Cox, Helen Morton, Rosemary Noel-Clarke and Roger Ellis. All were most grateful to our hosts fr a spendid day. ONLY 3 DAYS BEFORE THE START OF OUR SEASON. 4th April - All Hoops now set despite today's snow! All the hoops are now in place in readyness for the start of the season. on Saturday. Chris Roberts would like to send a huge thanks to 'Mr Dependaable' David Bromilow for his help in the snow today (yes really!) and to Harry Midgley and Raghu Iyer for their assistance on Tuesday. Jason will be giving the courts a final trim tomorrow and Frances Colman has new corner flags ready to make our courts look reallly smart. We have aquired two brand new mallets for club use in and these have been funded by the main PCC Club in lieu of our donaton of four of our oldest malltes for non-Croguet Club members to use via reception. The two new mallest have been bought with deliberatly shorter handles for use by our 'less tall' players or those using the 'Irish grip'. ONLY 2 DAYS BEFORE THE START OF OUR SEASON. What a glorious day for the opening of our season yesterday! All four courts saw a steady stream of action with both AC & GC players dusting off their winter cobwebs. The introduction of new safety boards between some of the courts and, as was most needed, to protect users of the footbath beside court 1, are a most welcome addition. Cloin Morgan showed trememdoust courage to enter his first ever tournament this weekend and it was away from the security of Phyllis Court to boot. Along with Rosemary Noel-Clarke, colin took part in the Hamptworth Club's C- level Tournament - details to follow when known. If you would like to enter events away from PCC, jats ask Frances or Chris who will point you in the right direction. Chris Robets took the scalps of three Scatch players including the World no 14. Rutger Buijderwellen at the Surbition Open 'Ascot Cup qualifier' this weekend. He ended up with a tally of 8 wins from 14 games and a likely ranking hike. Helena Fensome had a less sucessful tournament, scoring just 3 victories as she warmed up for next week's World Chamiponships in Cairo, where she again flys a lone flag for Finland. Follow Helena's progress here - there will be daily updates from Cairo. 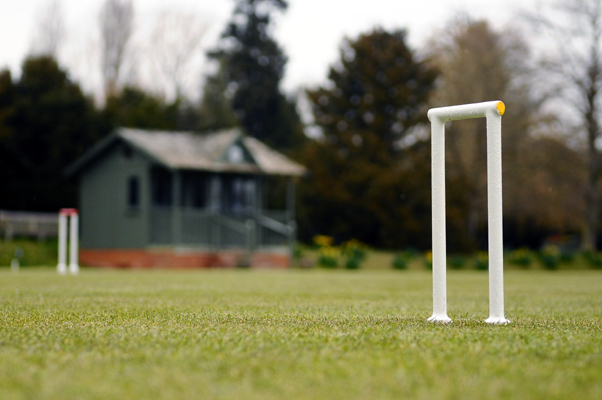 - Anne makes cover of Croquet Gazette! The new look Croquet Gazette features Anne Attfiled in action at PCC as part of a cover montage. Editor Chris Roberts' first issue has been very well recieved and he was pleased to include Anne's picture if only because she was his initial trainer when he started out in croquet. PCC 'A' (our top team) take on Bath in the National Inter-Club Championship on Saturday. A good number of our new beginners, who have just finished thier initial trainong are planning to came along to watch and your support will be very welcome too. As well as our top two players Charlie Von Schmeider and Chris Roberts, PCC's strong line-up features Frances Colman and Raymond Wood, all now very experienced at this National Level. Bath are lead by Scotland International, Ian Morrison and 17 year old Harry dodge who is a very spectaular player indeed. A good qulaity game is in store for all to see, so do call by between 1000-1300 and 1345 - 1530 approx if you possibly can. Fresh from his four wins from six games in his first ever tournament at Hamptworth last weekend, Colin Morgan took our Charity One Ball event title today ahead of a 20 strong field. He was undefeated until the very last round when he sucumbed to Michael Seagrief, but had done enough to secure victory just ahead of Robin Morrell who also finished with juts the one loss. Unfortunatly for Robin, that loss was at the hands of Colin and so he won the event on the 'who beat whom' te break rule. His ability to master the AC roll shot only shown to the filed just before the start of play, was an unexpected revelaation and it was the same to for Robin Morrell who stung togeter some nice breaks in many of his games. Both these chaps should have a serious look at AC because they certainly have the mallet skills. Results: Colin Morgan 5/6 - Robin Morrell 5/6 - Mike Fensome & Michael Seagrief (tied for 3rd) both on 4/6 - Phillip Allison, Harry Midgley, Don Rutherford all 3/4, Ralph Chambers & Dianne Browne both 3/5, Delia Norris 2/3, Rosie Richardson, Raghu Iyer & Paddy Bunch 2/4, Helen Walker 2/6, Margaret Broughton 1/3, Helen Morton 1/4, Christine Searle 1/5, Jean Pinguet 0/2, Diane Pascoe 0/4, Frances Colman (coaching), Chris Roberts (managing). Helena Fensome went down 1-2 to Austarlian John van der Touw in her opening game in Cairo today where she is representing Finland. She won the first game 7-5 but her experienced opponent closed her out 4-7, 5-7 to take the match which is the first of seven in her 8-player block over the next few days. New Zealander Duncan Dixon and Ed Cuningham of Ireland are top seeds in Helena's block which also includes two Egyptians. Bath proved to be very tough opposition indeed today but PCC 'A' battled through a long day to secure the match victory. Peter Miles got the visitors off to a great start with a singles win over Raymond Wood, but Frances Colman pulled the match back square for PCC 'A' with a terriffic last hoop victory over Bath captain Paul Francis. Frances victory was all the more impressive as it was her 'come back game' following her shoulder problems and to beat a lower handicapped player signs that she is to be reckoned with once again after a season of frustration. Meanwhile Charlie von Schmeider and Chris Roberts had to pull out all the stops to come back from 1-6 down to level their doubles rubber against teenager Harry Dodge and seasoned 'minus AC' player Roger Hayes. A good a 'partner ball promotion'by Roberts to the 13th allowed von Schmeider a controlled clearance and hoop run. The doubles decider was suspended until later and after lunch the head to head singles saw Miles win again for Bath, Wood level the match again and then Roberts give Phyllis Court a slender lead. Young Dodge really had his eye in by now and took his first game against the experienced von Schmeider who had to go to the 13th to pull the rubber back in their second game. As time marched on, the captains decided to revert back to the deciding doubles game rather than play out the remaining singles and the von Schmeider/Roberts combination took the rubber to secure fixture by 4.5 to 2.5. Hats off to Bath and to Harry Dodge in particular who really is a young man to watch. The two Egyptian opponenmts that Helena faced today were too good for out plucky Finn who went down 5-7, 6-7 to Osama El Hawash and 5-7, 5-7 to Shaadin Oukasha this evening. So close games scores wise but a first match win remains illusive for Helena. Helena Fensome beat Belgian Charles-Eric Vilain 7-4, 7-4 in Ciaro today to register her first match win of the tournament. This will give her a huge philip no doubt. Later in the day she got no change out of her gropu's second seed Ed cunninghiam of Ireland and went doen 1-7, 3-7. Helena has two block games left and has to face in form Nick Cheyne from the Surbiton Club and Top ranked New Zealander Duncan Dixon who was one of the pre-tournament favorites. Cruel luck for Helena as her on match win in the Championship Blocks was discounted along with all results involving Belgian Eric who withdrew unexpectedly on day 4. Nick Cheyne and top seed in her block, New Zealander Duncan Dixon duly added to their own winning tallies and so Helena went into the plate competition. Placed in a block of six, game victories proved illusive on days 5 & 6. Meanwhile in the main Championship knock-out only two Englishmen (Jacob Carr & Martin French) qualified for the first round of 32 of whom over half were Eqyptians. Neither progressed to the third round and fancied New Zealanders Chris Clark and Duncan Dixon went out in that very stage, at lease a round earlier than had been predicted. 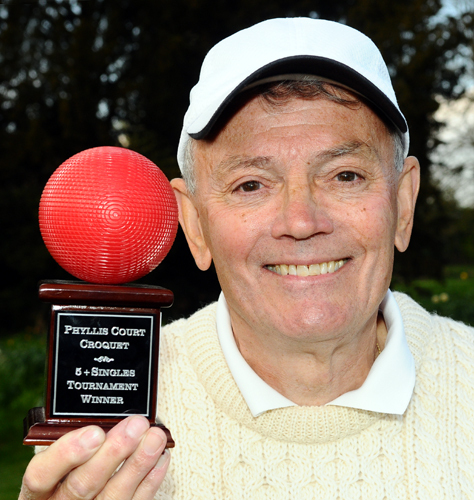 PCC 'A' pulled off an unexpected win today over East Dorset CC in Poole. The hosts were at least a handicap rank per man/woman better than our team on paper but a 'long day in the saddle' was rewarded by some really quite outstanding results. 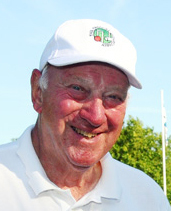 Everyone played their part but under-dog victories by Mike Fensome (3 handicap) and Raymond Wood (4) over a home 1 handicapper were realy special performances. Chris Roberts (1) pleasingly beat a scratch player 'eventually' after quiet a grueling battle and teamed up with Frances Colman (3) to grind out a similarly long doubles victory too. So we took the match by 4 games to 3 - What a great way to kick-off our league season! 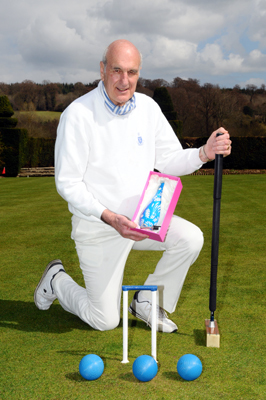 27th April - Raymond Wood achieves handicap drop to 3 ! As the dust settled over yesterdaay's 'A' team win at East Dorset, it was realised that Raymond Wood deserves our hearty congratulations for dropping his handicap rank to 3. Sharing a court with multiple World Champion Robert Fulford obviously didn't phase Frances Colman at Woking today because her 'three win weekend' took her down a past the 10 handicap trigger. In an exciting date full of close games none was tighter than the final in with Alex built up a comanding early lead. At 0-4 it looked like 'curtains' for Mary but she fought back well to level the scores at 4-4 and was in the ascendancy, but then Alex came back again jsut when it looked as though he was running out of steam. He scored the next two hoops leaving Mary needing the rest, a prolonged tussel ensued at 11, which mary eventually won but Alex wrapped it up at the 12th.